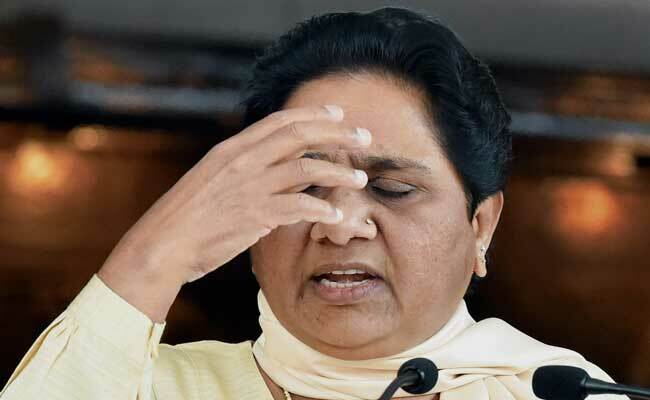 IT conducted surveys at nearly a dozen premises of businesses linked to Mayawati's brother. The Income Tax department today launched multiple survey operations at nearly a dozen premises of businesses and firms linked to Anand Kumar, brother of Bahujan Samaj Party chief Mayawati. Officials said the operations are being conducted in Delhi and the national capital region. "The department is also conducting survey and verification action on certain builders and business entities which had close business relations with the companies of Kumar and his associates and are believed to have made substantial investments in form of subscribing share capital, share premium among others in these entities," a senior officer said. The genuineness of these transactions are being probed into, they added. A survey operation under Income Tax laws pertains to raids where the taxman only visits the business premises of an entity and does not cover his or her residential premises. The department, as part of these survey operations, is also ascertaining the veracity of financial transactions undertaken by these entities related to Mr Kumar and others including inquiries in respect of their capital structure, unsecured loans, creditors among others. The taxman is ascertaining the investments made in acquiring immovable assets and the source thereof these investments, they said. In a separate operation, the department is conducting searches on a Delhi-based group which is a global leader in Mentha, the officials said. The group is a major commodity dealer and one of the biggest importer of pulses in the country. Searches are being conducted at 14 places in Delhi, Gandhidham, Lucknow, Bhiwadi and Barabanki, he said, adding the assessees evaded tax through benami trading on NCDEX/MCX, online commodity trading portal, by alleged bogus purchases and under-invoicing of sales. "Assessee was also instrumental in rigging Chana prices on NCDEX," they said.